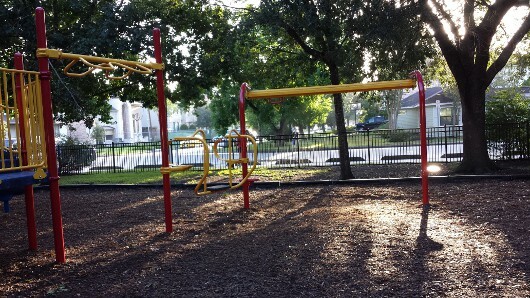 The Houston (Bellaire) Park of the week is Feld Park! 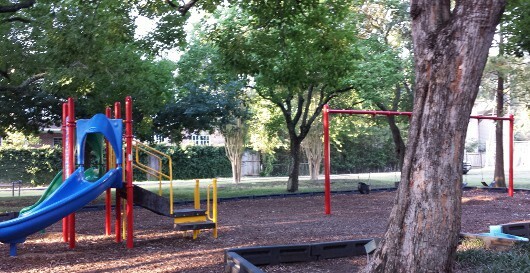 Feld Park is just south of Bissonnet on Avenue B. It is shaded by huge trees and has several play structures, including a little rock wall, and swings. The big play structure has some unique features, like a zip line, rock wall ladder, and, uh, a bouncy thing. I don’t know what the bouncy thing is called… but you climb on it and bounce! It also has 2 big slides that are pretty fast. My little guy has done some acrobatics off the end. 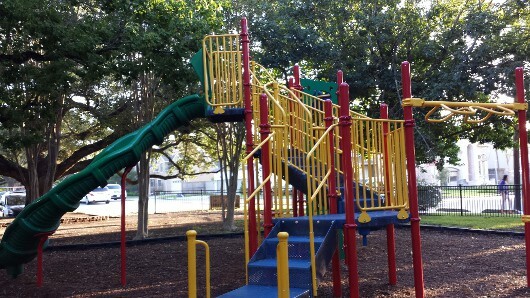 The toddler sized play structure has steps and a 2 little slides. There are also 2 baby swings and 2 big kids swings. My 6 year old loves the zip line. I’d like it to have an extra step so it required less help from mom… but I agree that it does look fun. The kids also like the little rock wall because it’s not something we see every day. 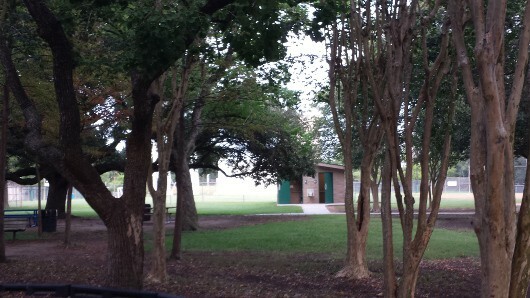 Feld Park has a bathroom that is usually open. It has been clean… but the toilet is the kind I suspect you might find in a jail cell. So, be prepared! Feld Park also has a softball field and tennis courts. The lot between the park and the school is for Feld Park parking.